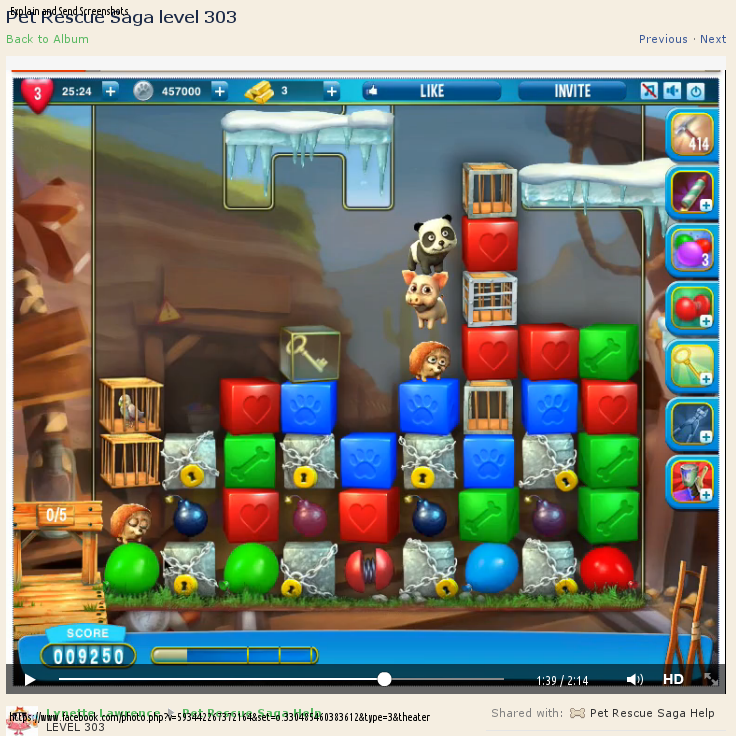 Pet Rescue Saga level 303 | Pre-views, level help, tips and videos for ALL Facebook King levels! Pet Rescue Saga level 303 – Strategy for Pet Rescue Saga Help and Gamers Unite! The boxes at pet rescue LEVEL 303 have to be broken before the pets can be rescued, so don’t worry if a few pets fall into them. One trick is to slide your columns (by clearing the columns to the left of them) so that many of the boxes are in the one column, then a rocket can be used to get them all at once. Carefully line up boxes near bombs to explode them. Also remember that once the outer metal has gone the wood can be smashed on a solid block, so there is no need to clear them completely if they are above something to smash on. When you get to the bottom don’t unlock the key too soon as the locked blocks can help by keeping the bombs separate. 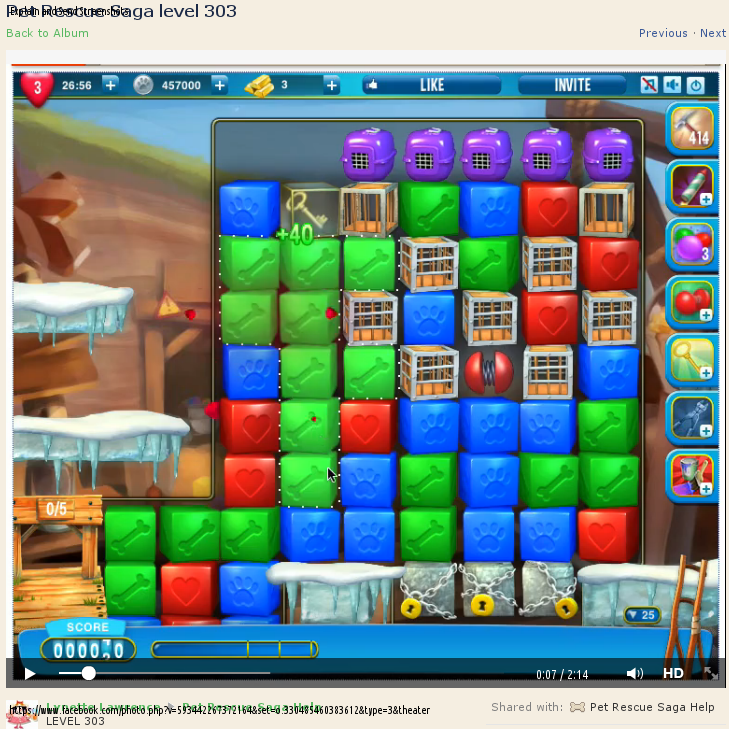 CLICK THIS to access the original Level 303 guide including the AWESOME level video for Level 303. Access requires group Membership in the Pet Rescue Saga Help group on facebook.